Shimako Sarumaru is a jazz singer,pianist, composer and crystal bowl performance artist from Japan. She learned to play the piano at a young age because of her interest in music. After graduating from high school she traveled to the United States and studied at the Brooklyn Queens Conservatory of Music in New York City majoring in jazz vocals. While studying in NY she began her professional career as a singer, sitting in with musicians at local jazz bars. She participated in many musical events including her appearance at the Apollo Theater in Harlem which is known to be a gateway for professionals. After three years in New York she returned to Japan because of her concern for her grandmother’s failing health and continued singing and performing in jazz bars mainly in the Kansai area. In 2005, she entered the Kobe Jazz Vocal Queen Contest and won the NHK Award and started to vigorously perform live in jazz bars. Wanting to develop her ability to spiritualize and meditate she acquired her Alliance 200-hour yoga instructor certification in 2012 and confirmed her beliefs in experiencing and using a strong and kind heart and incorporated yoga into her daily life. 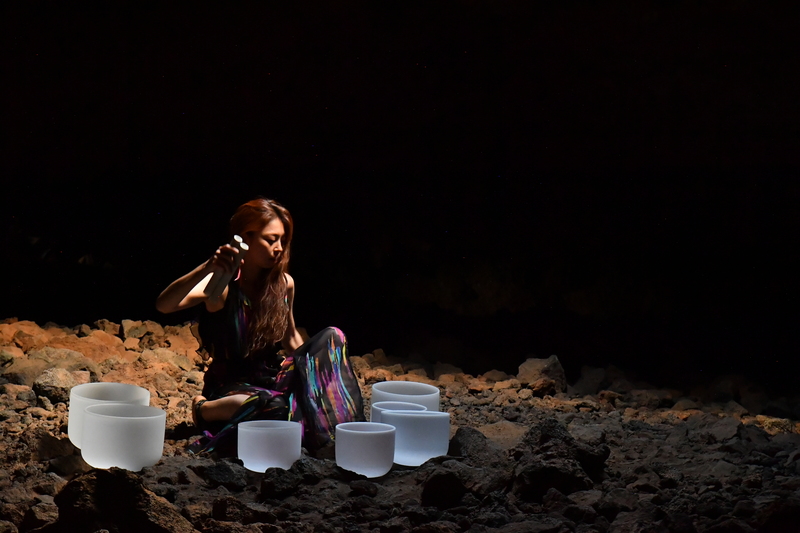 She traveled to Bali wanting to integrate spiritual aspects of her being into her music and began using the crystal bowls in her performance, fusing music and spirituality. 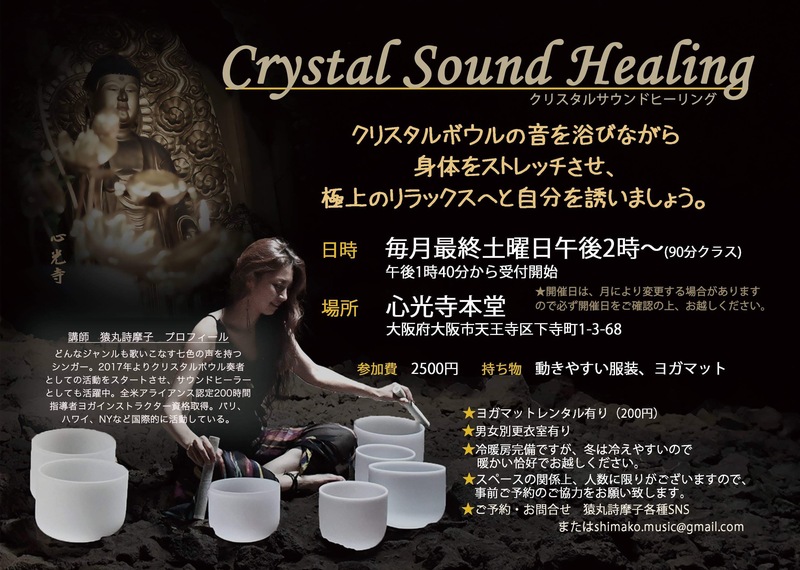 She has since developed sound healing yoga classes (Shinkoji de Sound Healing Yoga) and private sessions using the crystal bowls at The Tennoji Temple of Heaven at Osaka using the sound of the crystal bowls to heal and totally relax the heart and body. She also creates original music melding melody and lyrics utilizing the crystal bowls and channeling a higher spiritual consciousness. In January 2018 she released “Breath of Air” with music producer Masami Kobayashi. 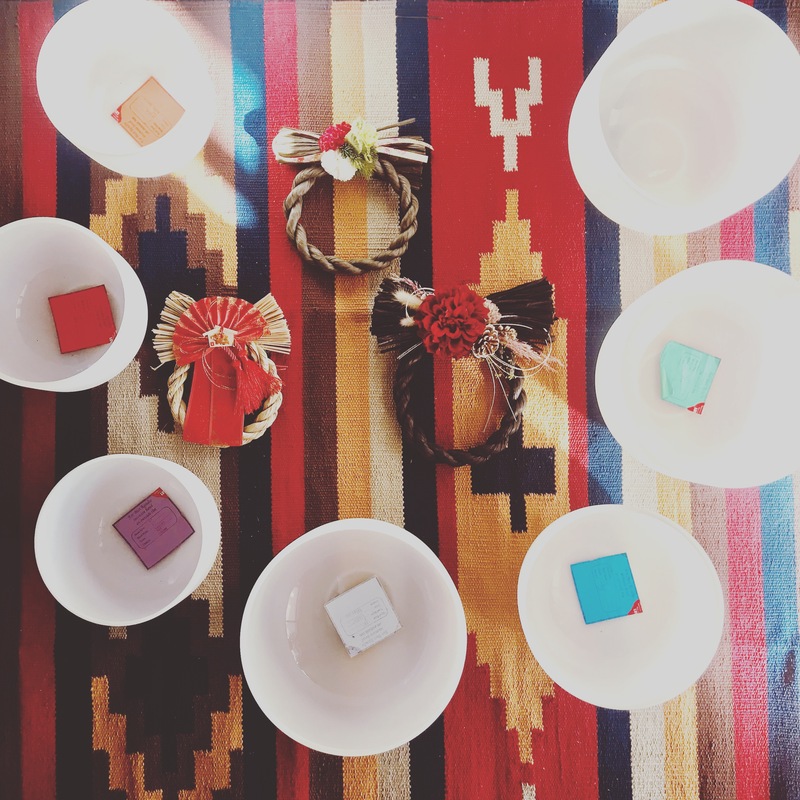 Arrangements by Yukihiro Wakasugi. All music and lyrics by Shimako (Except #5). Vocals, Crystal Bowls and piano - Shimako, Marimba - Mike Mimura (#2 & #6), Guitar – Koichi Fukuda, Keyboard – Yukihiro Wakasugi, Bass – Masami Kobayashi. In February 2019 she will release “wave of overtone”with marimba player Mika ME. Shimako and Mika improvised all tracks with their playing in this CD. It's very healing sound CD. 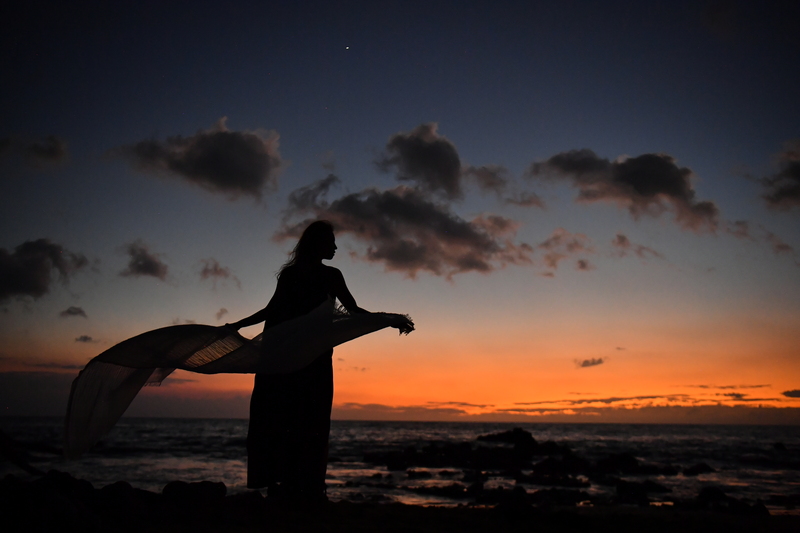 Shimako continues to perform as a jazz singer in Japan, the U.S., Asia and Hawaii. 6 Breath of air(with crystal bowl)Marimba ver.